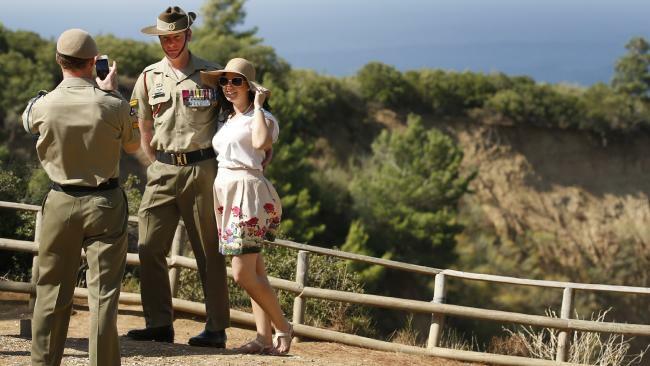 Corporal Mark Donaldson VC, takes a phone photo of fellow VC recipient Corporal Daniel Keighran and wife Kathryn at Walker's Ridge. Picture: David Caird. AUSSIE war hero and Victoria Cross recipient Daniel Keighran and his wife Kathryn have listed their four-bedroom Nudgee home for sale. Aussie war hero and Victoria Cross recipient Daniel Keighran. Photo: Claudia Baxter. 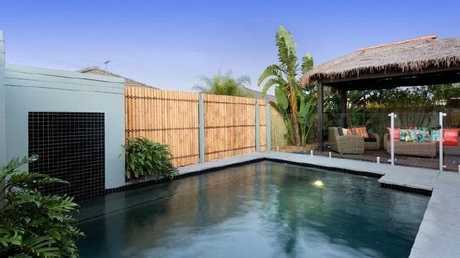 One of its standout features is the rear relaxation zone, featuring a tiled and covered outdoor entertaining area and Bali-inspired cabana overlooking the pool and its feature waterfall. 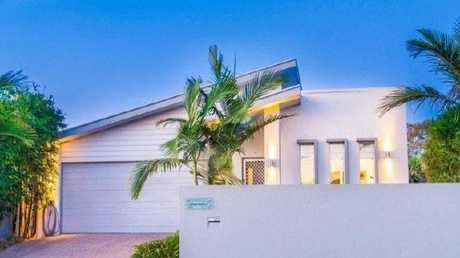 Owned by Victoria Cross recipient Daniel Keighan and his wife Kathryn, the low-set four-bedroom home is only eight years old. Another zone ideal for relaxing is the airconditioned master bedroom, which has a walk-in wardrobe and ensuite featuring a double shower wit frameless glass and a his-and-her vanity. 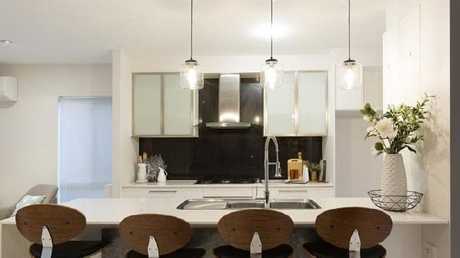 They haven't skimped on the kitchen fit-out, with pendant lighting, stone benchtops, ample storage, including a double door pantry and stainless steel appliances, including twin drawer dishwasher and gas cooktop. 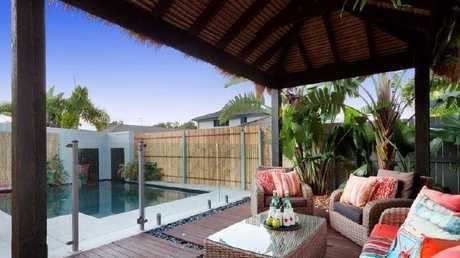 One of the standout features is an outdoor entertaining area with pool, water feature and Bali-inspired pool cabana. The home ticks a lot of sustainability boxes, with three x 1500 litre water tanks and pumps and solar power. Other features at the fully fenced property include security screens and doors, remote access double lockup garage, separate laundry and NBN ready. The kitchen comes complete with pendent lighting, stone benchtops, ample storage, including a double door pantry and stainless steel appliances, including twin drawer dishwasher and gas cooktop. 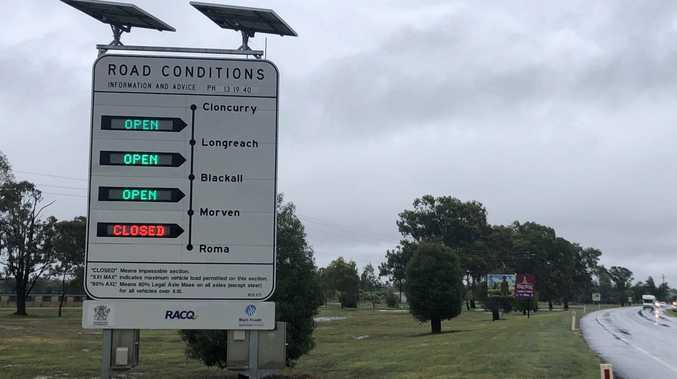 The couple purchased the home in 2014 for $590,000, according to CoreLogic and have it listed for sale with Pat Barrett of Barrett Property Sales for offers over $650,000. The property is listed for sale with Pat Barrett of Barrett Property Sales. The Courier-Mail named Keighran as one of Queenslands most inspirational people in 2016. Keighran was inspired by his grandfather, a World War II veteran, to join the army at just 17. 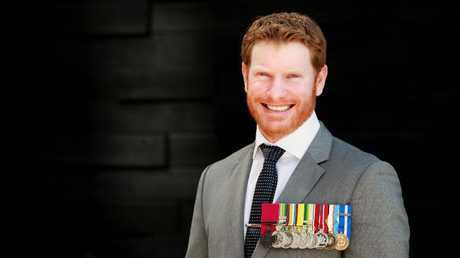 He served his country for 11 years and was awarded the Victoria Cross in 2012 for action in Afghanistan in 2010. Today he is a consultant with Channel 7 and a Brand Ambassador with Australian Defence Apparel (ADA).